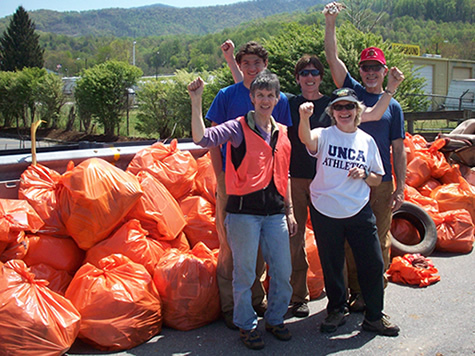 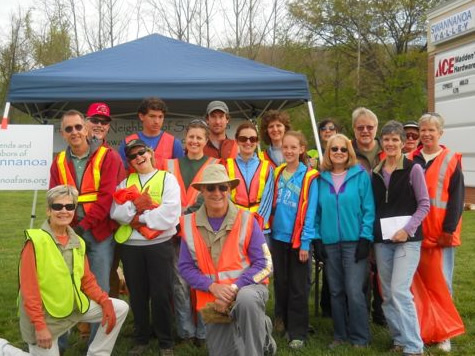 Bright sunny skies and mild temperatures brought out 35 volunteers on Sat., April 14, 2012, for the annual spring Swannanoa Sweep. 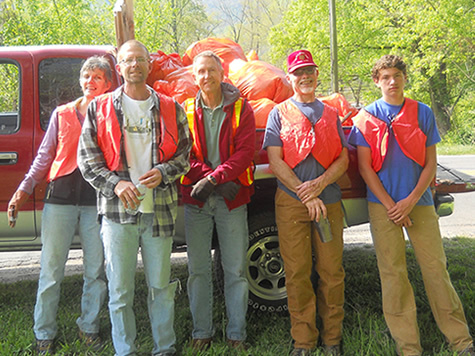 This clean-up has become a regular event in the Swannanoa community, and in the past six years there have been 10 such events. 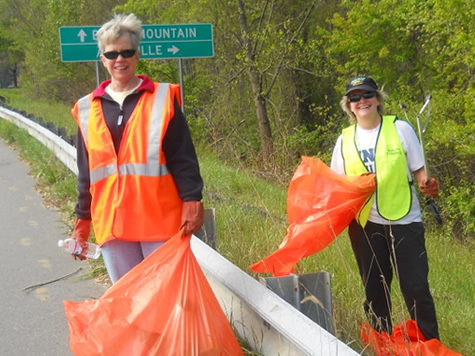 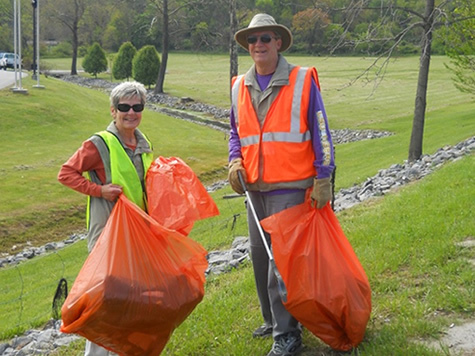 Teams of volunteers in orange safety vests picked up trash and debris along U.S. 70, Old U.S. 70, Patton Cove Rd., Davidson Rd, Bee Tree Rd and Warren Wilson Rd. 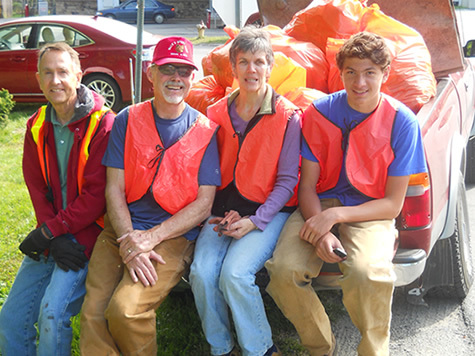 The thick spring growth did not deter the volunteers from digging deep in knee high grass, brush and water to remove bottles, plastic containers, fast food wrappings and more. 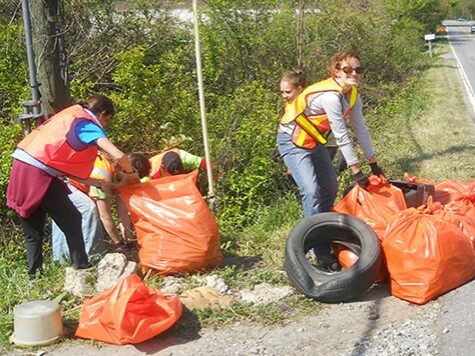 By the end of the three-hour work period, volunteers had collected 102 bags of trash, along with tires, mattresses and assorted signs. 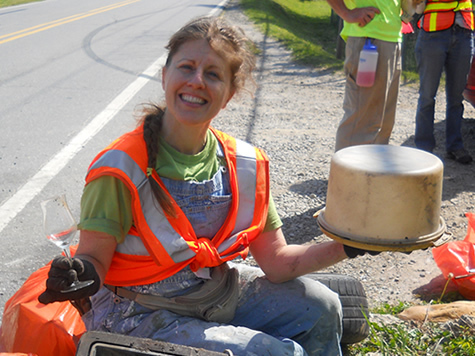 Money has been a common finding, and this year was no different. 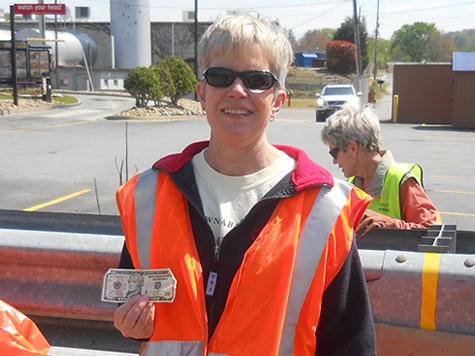 A volunteer found $10 and generously donated it to FANS. 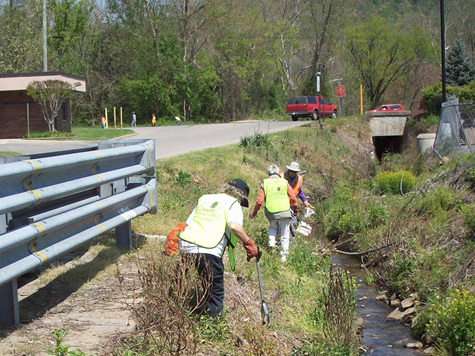 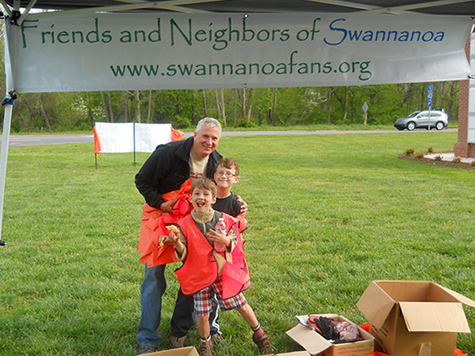 “It was fun,” said one volunteer, “I really feel like we did some good cleaning.” FANS hopes that this same energy and enthusiasm will continue in Swannanoa when the community clean- up committee is looking for volunteers next spring.